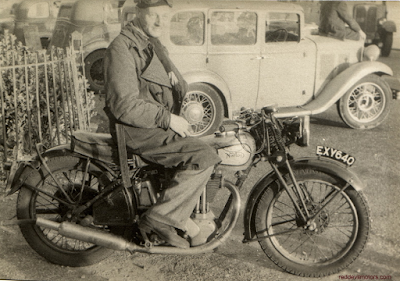 -From the Red Devil Motors website- The Norton in the photo above was identified by Karl as a Model 50 from 1938. 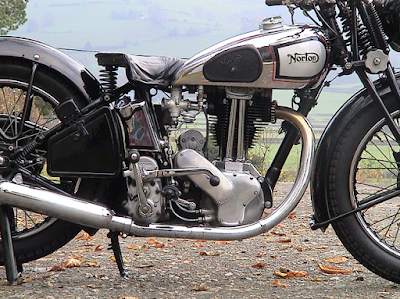 Apparently the 350cc Model 50 can be identified by the number of fins on the barrel and head. 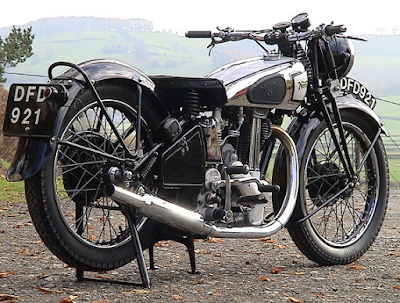 Karl owns a 1938 Model 50 (below) and informs us that the 1938 model year can be positively identified by enclosed valves, a revised timing case and the lack of oil tell-tale.